Once you have chosen a product that you want, choose the colour, packet size and/or shape (if applicable) and the quantity, and then click on 'Add to Cart'. You can then Continue Shopping, Proceed to Checkout or View or Edit Your Cart. Note that we have a $25 minimum on our website - you will not be able to proceed through the checkout if the products in your cart are below the $25 threshold. To finalise your purchases click on the ‘Proceed to Checkout' button. At this stage you will be invited to login or Create an Account to continue. Store Credit - You will need to select another payment option as well if your store credit balance doesn't cover the total order. See further below for information on these payment types. Click the 'continue' button to proceed to the next page. Verify all the details once more before clicking once on the ‘place order' button to confirm your order. You will then be shown a screen to confirm the order has been placed and an order confirmation will be emailed to the email address you supplied. If we have any problems with stock, we will email you, otherwise your order will be posted as soon as possible. If you choose to sign up for an account, you can login at any time to see the status of your order. Credit Card - This is the fastest, most secure option. We use well known Australian payment gateway Stripe to securely process credit cards. Because of this, we never see your credit card in full, making the process even more secure. We take your security seriously, and invite you to visit Stripe to see how they handle your data. We accept Visa, Mastercard and American Express over our website. Phone Your Credit Card Information - If you are uncomfortable with sending your credit card details online, please select this option. Please note however that we do our manual transactions via a handheld terminal in our shop. Please ensure you phone in your credit card details ASAP, as we cannot begin to process your order until we have this information. We accept Visa and Mastercard over the phone. Bank Transfer Payment - This option takes longer, as we must wait until we receive your payment before we can begin to process your order. Please make sure you transfer your payment straight after placing your order, so that we can send you order ASAP. You will need to use your last name as the reference. We supply many of our products at wholesale rates - no ABN is needed. The best way to find an item with bulk pricing is simply to find the product you're after - if there is bulk pricing rate available, it will be listed on the product information page. Bulk pricing is available in two ways: either as a pack that contains upwards of 100 pieces, or by purchasing multiples of the same product. Full details on the product information page. Please note that no further discounts apply to bulk or multiple quantity pricing. If you have any more queries, please email us at info@eurekabeads.com.au. Customers at our stores in Toomuc Valley and Cheltenham who have a loyalty bag will receive discounts in our stores - please ask instore about how to receive a bag. Our instore Loyalty Program is different to our online Loyalty Program - read on to find out more. Our online customers also have the opportunity to receive discounts, by becoming a Eureka15 Member. To become a Eureka15 Member, you need to spend $50 or more in a single order, on non sale or bulk/multiples purchases (doesn't include postage). After making a qualifying purchase, your account will be upgraded, so that you can receive discounts on future purchases. STEP TWO - START SAVING! Once you have reached Eureka15 status, future orders will be entitled to 15% off eligible purchases. You will be able to see this discount in the shopping cart. There are of course some conditions - the discount is not available on postage, gift certificates, sale products and bulk items. This exclusive discount program is only available online and not instore. As everything on the site (not including bulk) is already at sale prices during our bi-annual sales, please note that the loyalty discounts don't apply during these times. We regularly have sales and discounts on our website - for the most part, these are for our online customers only, particularly our clearance lines. Some are also available at our stores, however if you're coming to our stores for a particular item, it's best to give us a call in advance to check we have it in stock. To receive emails about sales both on the website and in our Toomuc Valley and Cheltenham shops, please join the Eureka! Beads mailing list. If you are not satisfied with any purchases you make from our site simply return your purchase within 14 days for a full refund. Sale items cannot be refunded or exchanged. Unfortunately we cannot refund freight charges on delivery and return of goods. Please note that a 25% restocking fee applies to 'change of mind' returns. If something is missing or broken in your order, please contact us as soon as possible so that we can take care of it for you. Refunds will be in the form of a credit card refund or a store credit. Information you provide us when you purchase products. This information includes your name, address and contact details. Information gathered from communications between us and you. The use of the facilities and services available through our website will determine the amount and type of information we collect. To establish and maintain your relationship as a customer of Eureka! Beads. To provide the products you have requested from Eureka! Beads. To answer any of your enquiries. For direct marketing by email if you have signed up for our newsletter, a service provided by AWeber Communications. If we contact you in this way without obtaining your prior consent, we will provide you with the opportunity to decline any further marketing communications. If you at any time receive any communication from Eureka! Beads which you would not like to receive, please contact us and we will remove your name from our mailing list. If you would like to check or amend your contact details, please contact us. We will deal with all requests for access to personal information as quickly as possible. All newsletters also have an easy option for you to automatically unsubscribe. Eureka! Beads takes reasonable steps to keep secure any personal information which we hold and to keep this information accurate and up to date. Personal information is stored in a secure server and credit card details are not stored nor processed on our server: we use secure payment processer Stripe to manage all aspects of our payments. The Internet is not always a secure method of transmitting information. Accordingly, Eureka! Beads cannot accept responsibility for the security of information you send to, or receive from us over the Internet or for any unauthorized access or use of that information. Please note that all content on this website (including but not limited to photos, descriptions and instructions) remain the property of Eureka! Beads and cannot be used or republished without our prior consent. We use a Secure Sockets Layer (SSL) Certificate issued by Encryption Anywhere. This certificate is used on all pages and ensures there is an encrypted link between your browser and our server. You should be able to verify this by observing a "padlock" symbol when browsing our site. Credit card details entered on our site are handled by well known industry leader, Stripe. Credit card details entered in your browser on our payment page go straight to Stripe to be processed - we never see them. Eureka! Beads follows strict protocols to ensure it is a Payment Card Industry (PCI) compliant organisation. This means that we handle all aspects of credit card information very seriously, and ensure that our payment partners (eg Stripe) do the same. 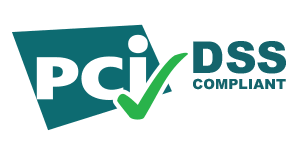 Our host, BigCommerce, is PCI DSS 3.2 certified at Level 1, which protects against credit card data breaches. STILL CONCERNED ABOUT USING YOUR CREDIT CARD? Consider using bank deposit instead - this is done by walking into a local Commonwealth Bank branch, or by using your own internet banking solution. It means that the only person who has access to your banking details is yourself.